Dr. Robert Anderson (Dr. Bob) has 35 years of experience treating patients with spinal, joint, and muscle pain. He particularly enjoys helping patients with long-standing problems using a combination of chiropractic care and rehabilitation. Dr. Bob was born and raised in Wisconsin Rapids, Wisconsin. He attended Lincoln High School, graduating in 1971. He married his wife Edna in 1974. 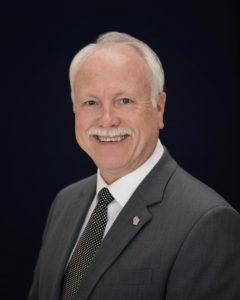 He attended University of Wisconsin Stevens Point and Mid-state Technical Institute and received his Associate’s Degree in civil engineering in 1974. He began working for Davy Engineering in LaCrosse Wisconsin, but realized that it was not fulfilling for him. His childhood dream was to be a Chiropractor. It was at that time he started to attend the University of Wisconsin LaCrosse where he majored in pre-chiropractic studies and matriculated into Palmer College of Chiropractic in Davenport, Iowa. Dr. Bob graduated in 1982 with his Doctorate in Chiropractic degree. Dr. Bob, through his sister Candy, heard of a chiropractor retiring in the Reedsburg area. After touring the community of Reedsburg, he and Edna knew that this was the place that they wanted to raise a family. Over the years, Dr. Bob has had the good fortune to be supported by a wonderful family. He and Edna have 2 children, Dr. Christopher, who works with him in the Reedsburg and Elroy clinics, and Nicholas, who works for the state of Wisconsin. Dr. Bob is also blessed with two grand-children, Alex and Savannah. Dr. Bob is a member of the Reedsburg Area Chamber of Commerce, The Wisconsin Chiropractic Association, The American Chiropractic Association, the Reedsburg Masonic Lodge #79 in Reedsburg, and the Lions Club of Reedsburg. He has served his community being on the board of directors for the Reedsburg Chamber of Commerce. Dr. Bob was actively involved with the Reedsburg Little League and served as its past president. He was on the board of directors for Reedsburg Boy Scout Troop #44 and was it’s past Committee Chairman. He has been active in the Methodist Church and past chairman of the executive council. He volunteers with his son Dr. Chris for the Rotary’s annual Fly-In, Drive-In Breakfast. He is active in the Masonic Lodge and chairman for their annual chicken pie fund-raising event. He is a Master Mason and a past Worshipful Master of the Lodge. He is active with the Lions Club, assisting with their benefits, fundraisers, and sportsmen nights. He is an active member of the Reedsburg Outdoor Club, where he enjoys trapshooting and sponsors a trap team. After working in a greenhouse while growing up, he fell in love with flowers and landscaping. His talents are visible at the office as well as at his home in Reedsburg. Dr. Bob and Edna purchased an old farm near LaValle, and Dr. Bob has enjoyed returning to his childhood days of farming. Every year, he plants 20 acres of crops for which he leaves for the deer, turkey, and other wildlife to eat. He is an avid pheasant hunter and raises pheasants and grouse, which he releases into the wild in hopes of repopulating the once native species. He is an avid prairie enthusiast and cultivates species of wild flowers, specifically native plant species to Wisconsin. Dr. Bob enjoys fishing and hunting with his family. Dr. Bob is continiuously learning more about good health and enjoys attending continuing education classes throughout the year. Dr. Bob’s life circles around his wife, children, and grandchildren, but he lives each day for the challenge to help someone feel better. Dr. Bob has long realized that without your health, you have very little. He owes his successes in life to his patients who continue to enjoy quality natural health care through chiropractic.